Cranberries are so tasty. They are one of the best things about this time of the year. 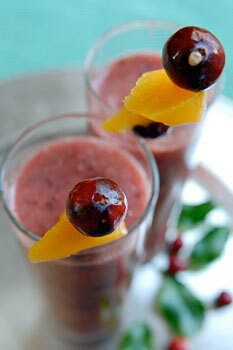 These are raw and pureed with a banana and peaches for sweetness. Cut up the banana and place in a blender. Cut canned peaches into chunks and add the liquid the peaches are canned in. Add the cranberries and a bit of orange juice and blued to a smooth consistency. I didn’t want the taste of banana to be overwhelming, so I used only one. If you prefer, of course add more. 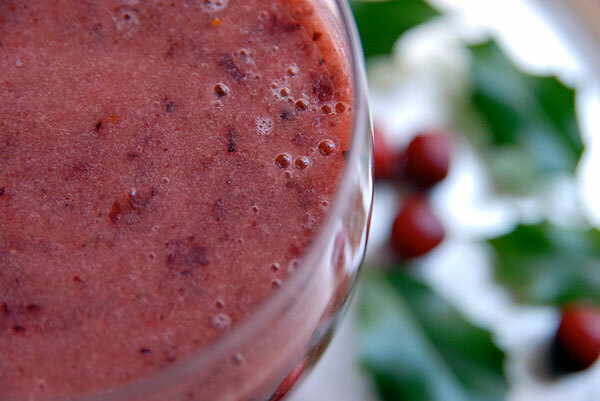 Posted by Chris Walker on November 18, 2007 in Banana, Beverages, Cranberry.